Permaculture is all about the design of an agroecology system, a highly promising alternative to industrial agriculture that has the potential to avoid the adverse ecological and social impacts of input-intensive production. Permaculture has undergone parallel growth with agroecology, displaying overlapping concerns while developing different constituencies in the past three decades. 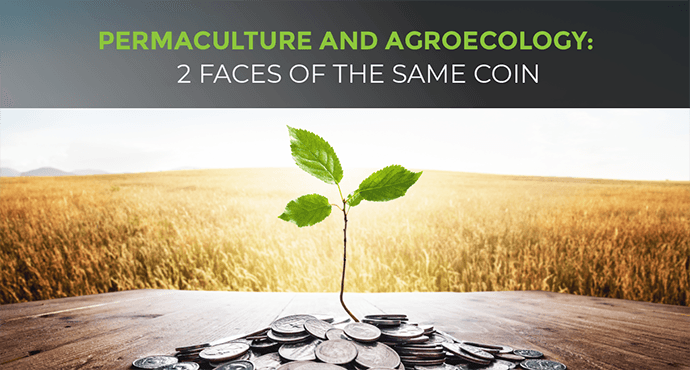 Agroecology and permaculture share a focus on agricultural production and the intersection of ecology, a normative orientation towards agroecological transition, and an association with popular movements consisting largely of land users. Additionally, permaculture shares with agroecology a complex stratified definition. Recent scholarship has clarified that agroecology simultaneously refers to a scientific discipline, a social movement, and a set of agricultural practices. Similarly, some of the confusions surrounding permaculture can be attributed to the use of the word to refer to an international movement, a design system, to the worldview disseminated by the movement, and to the set of associated practices. Permaculture is defined as the conscious design and maintenance of agriculturally productive ecosystems which have the diversity, stability, and resilience of natural ecosystems. It was founded by Bill Mollison and David Holgrem in the 1970s and is now present in all the continents in the world. Agroecology is defined as the application of ecological concepts and principles to the design and management of sustainable agroecosystems; it provides a framework to assess the complexity of agroecosystems” (Miguel A. Altieri, 1995). Today, the question of agricultural production has evolved from a purely technical one to a more complex one characterized by social, cultural, political and economic dimensions. Agroecology has emerged as the discipline that provides the basic ecological principles for how to study, design and manage agroecosystems that are both productive and natural resource conserving, and that are also culturally sensitive, socially just and economically viable (Altieri 1995). Published definitions of permaculture emphasize on its status as a system for the design for human settlements, with an emphasis on productive landscapes. The permaculture design system utilizes spatial reasoning strategies, and ecological and systems thinking principles, which are used to select practices, analyze site conditions, and integrate them with site conditions and land use goals. The most distinguishing aspects of the permaculture orientation towards agroecosystem design are its emphases on site specificity (including attention to microclimate), the interaction between components at multiple scales, from field-scale polycultures to agroecosystem scale land use diversity, and spatial configuration as a key driver of multiple functions. From the perspective of permaculture design, crops and land use should be carefully selected and placed to demonstrate a fine-grained analysis of in-site heterogeneity including microclimate, topography, and existing vegetation. Microclimate effects, driven by both regional and local topography and vegetation, can be leveraged to identify sites for otherwise marginal crops and maximize energy efficiency. Structures, ponds and equatorially oriented slopes, and woody vegetation are identified as the main sites at which extremely cold temperatures are moderated by thermal mass and heat-trapping effects which may accommodate less hardy species. In permaculture, land use diversity appears in forms that include animal and plant production, tightly integrated terrestrial and aquatic system, and annual and perennial plants. This emphasis is consonant with the scientific literature, in which the benefits to productivity generated by synergies between multiple enterprises has been demonstrated. Integration of multiple has shown to increase labor efficiency and to enhance all dimensions of multifunctionality, including environmental, economic, and social functions as well as food security. Permaculture’s emphasis on configuration is expressed in the Principle of Relative Location and the design tools Zones of Use and Sectors. Relative location, according to Hemenway, is the art of placing the elements of your design in ways that create valuable relationships and time-saving connections among all parts. Sectors refer to directional forces that impinge on the site from the outside including the sun, wind, water, and wildfire. Landscape components can be arranged to manage these forces through exclusion (fire breaks), channeling (windbreaks and water control features), and inclusion (maximizing isolation/minimizing shading for crops and structures). Zones of Use is a concentric model of land use planning intended to maximize farm labor productivity, by sitting land uses that require frequent management or use closer to the home or other centers of activity. These principles of agroecosystem configuration, although lacking an explicit parallel discussion in the scientific literature, appear reasonably well supported by existing science. Configuration is, nevertheless, an explicit issue for land use function that depends on spatial and topographic relationships, including runoff filtration, windbreaks, habitat provision, nitrogen fixation in poly-cropping, contour cultivation, and soil and water conservation. At large scales, the configuration is regarded as a driver of ecosystem functions and to a lesser extent cultural functions. Permaculture practices are often inspired by traditional agro-ecological systems, as in the case of tropical home gardens and the permaculture “food forest.” As demonstrated by the guild concept, natural systems are another source of inspiration in which polycultures are specifically designed as analogs to natural functional assemblages. Alternative agricultural techniques such as the original adoption of Keyline’s system of landscape planning may also be adopted by permaculturists. Contemporary examples include the increasing enthusiasm in the permaculture community for aerobic compost tea and biochar. The “herb spiral”, a mound garden design that was proposed by Mollison for the production of culinary herbs, is, probably the only practice to have emerged from the permaculture movement itself. In this light, the practical spectrum of permaculture might be more productively regarded as a conceptual framework for the assessment and adoption of practices rather than a bundle of techniques. Criteria for the evaluation of practice are not articulated explicitly in permaculture principles, but consideration of principles and favored practices suggest two broad conceptual criteria: Ecosystem mimicry and system optimization. The criterion of ecosystem mimicry regards the structure and function of the unmanaged ecosystems as models attempt to create highly reproductive systems with analogous structure and function using species that produce yields for human use. The criterion of systems optimization doesn’t refer to a model ecosystem but seeks to identify strategic positions of leverage where minimal intervention may enhance the performance of the desired function beyond that of naturally occurring systems. Collectively, these criteria outline a conceptual framework for the assessment of practices in the permaculture movement and may also inform future investigation of these issues. The design and use of perennial polycultures is a major theme of the permaculture experience and literature and reflects the criterion of ecosystem mimicry. The plant/animal design or other multi-kingdom polycultures, however, receive less attention. Diverse polycultures are valued for resistance to pests and pathogens, resistance to climate variability, diversification of production, and as a prerequisite for a facilitative interaction between plants that can reduce the need for material and labor inputs. Perenniality in cropping species is treasured for soil conservation functions and labor efficiency. This view is largely consonant with the emerging scientific perspective on perennial polycultures as well as the more extensive discussions of field-scale diversity and perenniality. Permaculture is exceptional in emphasizing the potential perennial polycultures to replace some portion of annual vegetable crops and staple crops. Dense and complex plantings can have various effects including the reduction of productivity through above and below-ground competition for resources, increased harvest labor, and increased pathogen pressure due to lack of air circulation. Redundancy in water storage system is emphasized with the priority placed first in soil storage, then surface water impoundments, followed by tank storage. The utilization of earthworks for water harvesting and control is a global idea in traditional agriculture systems. The productivity of such systems has been demonstrated across multiple contexts including arid land agriculture, hillside agriculture in humid zones, and in aquaculture/ irrigation systems in a wide range of contexts. Despite the rate at which water harvesting earthworks are addressed in the permaculture literature, discussions of the quantitative planning tools is rare. Discussion of the risk posed by dispersive soils, which are highly vulnerable to the tunnel erosion and thereby to catastrophic failure, is absent. Permaculture literature supports attention to new and underutilized crops, consideration of wild relatives of domesticated species, and on-farm breeding of new cultivars. The multifunctionality of the cropping species is valued over the place of origin, and the introduction of non-local species is regarded as desirable. Great Article I cant wait to read more!